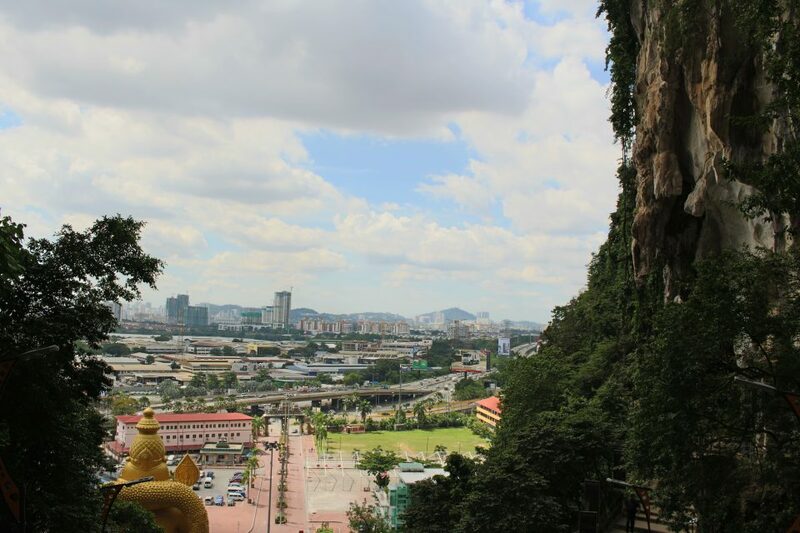 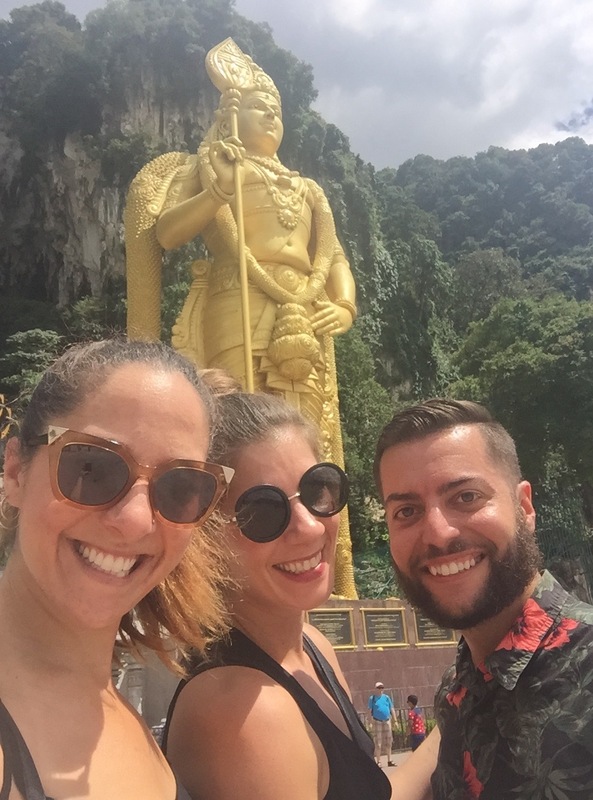 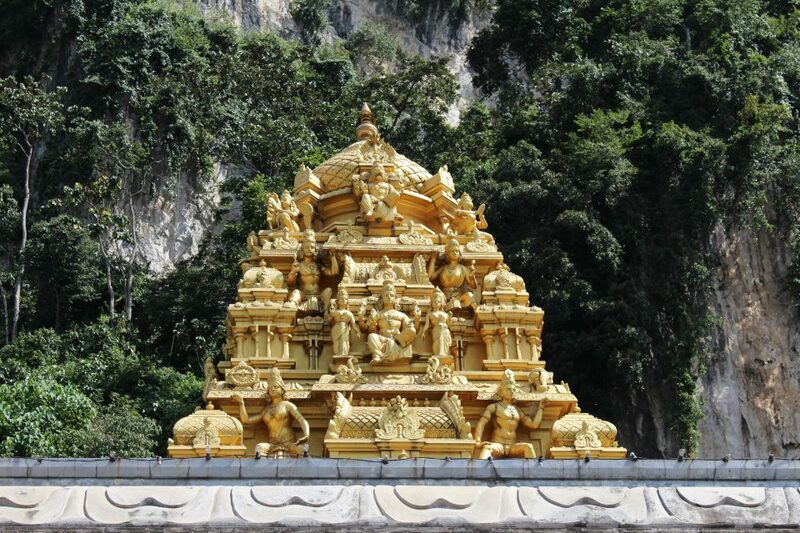 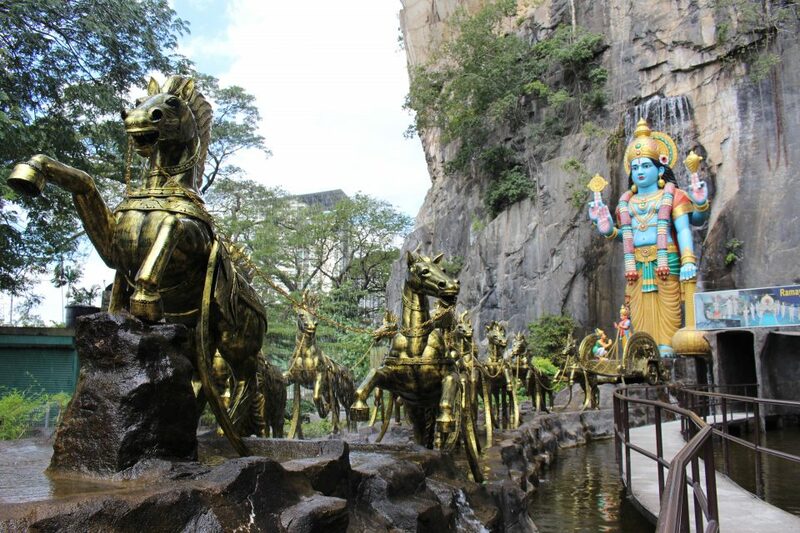 After a hearty breakfast, we took the train to the Batu Caves, a series of Hindu shrines and limestone cave temples just outside Kuala Lumpur. 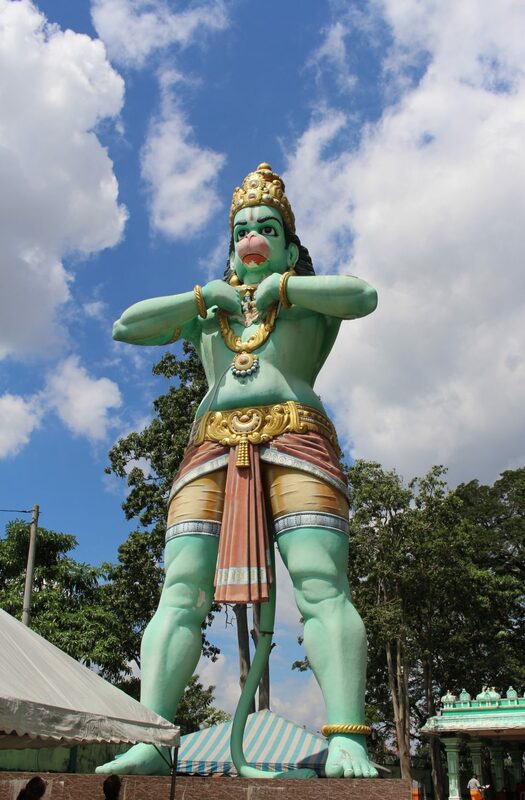 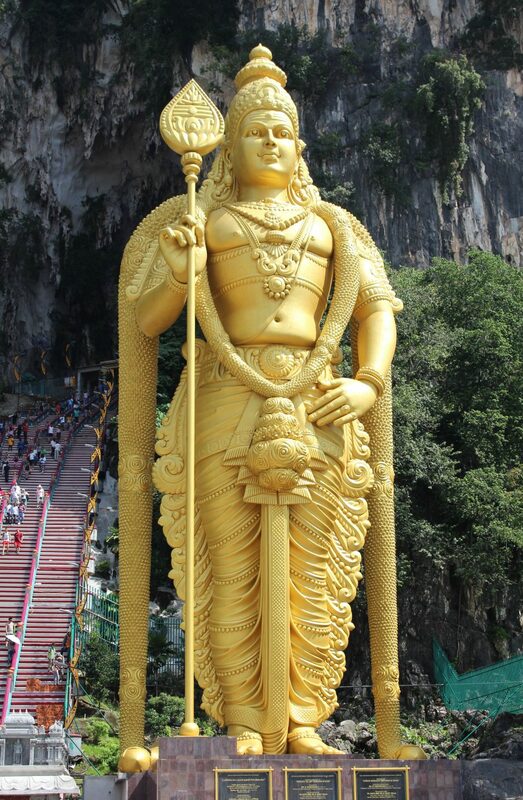 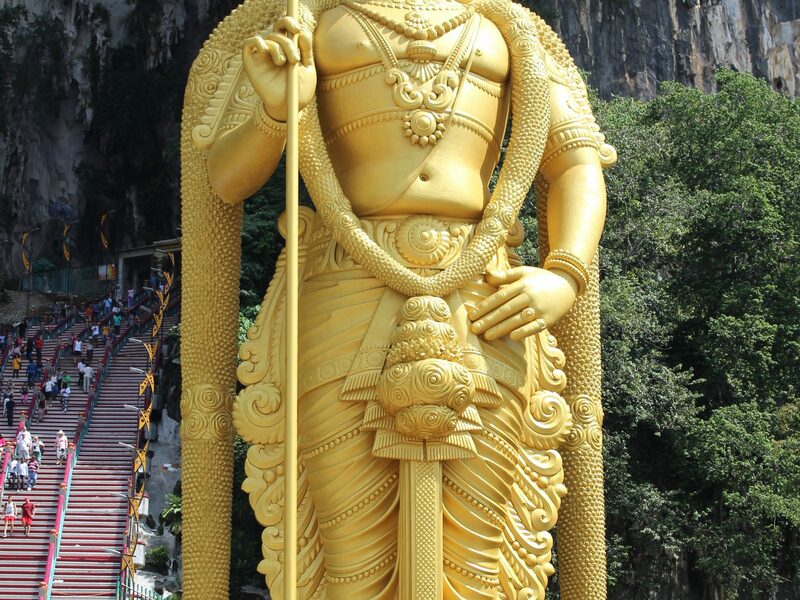 The giant statue above is Lord Murugan. 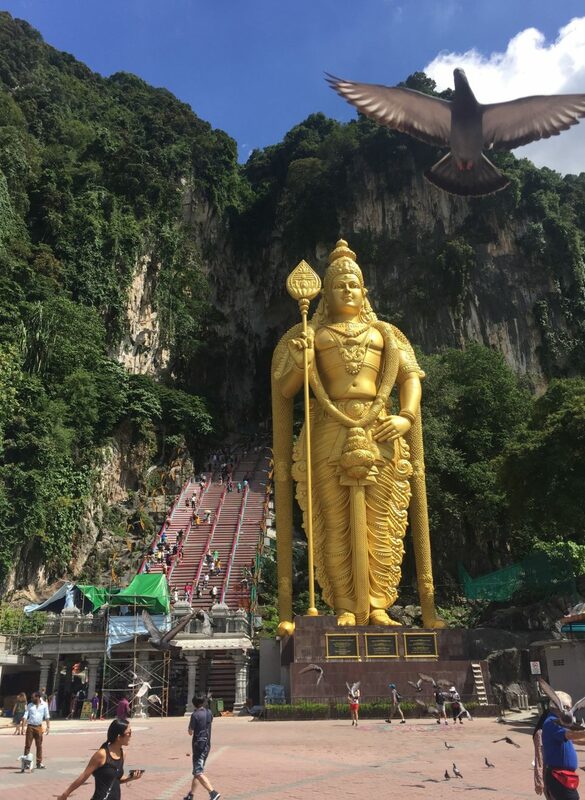 Yes, he is enormous, but behold his even mightier pigeon! 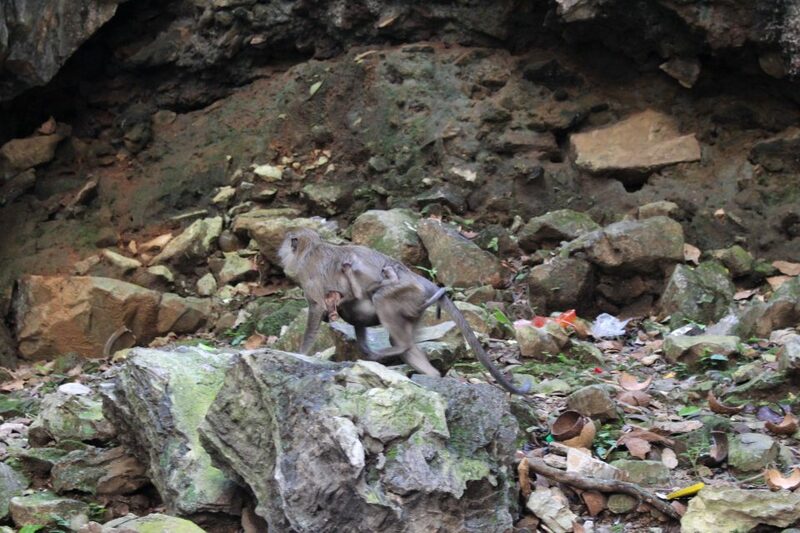 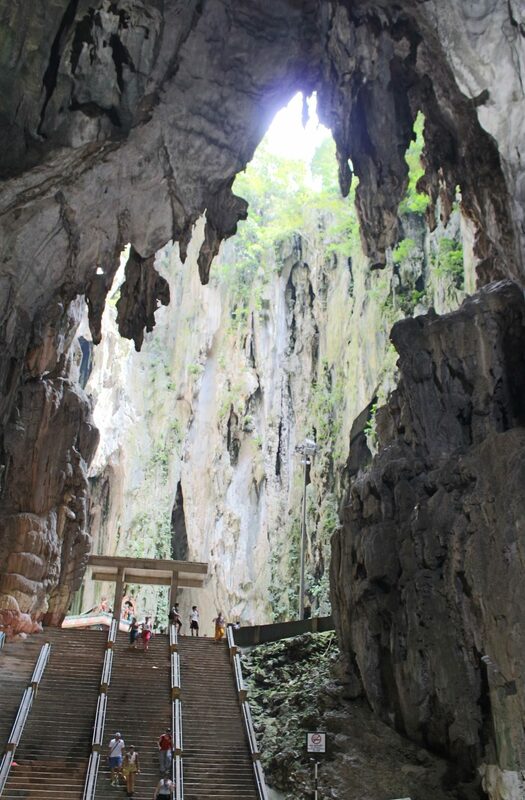 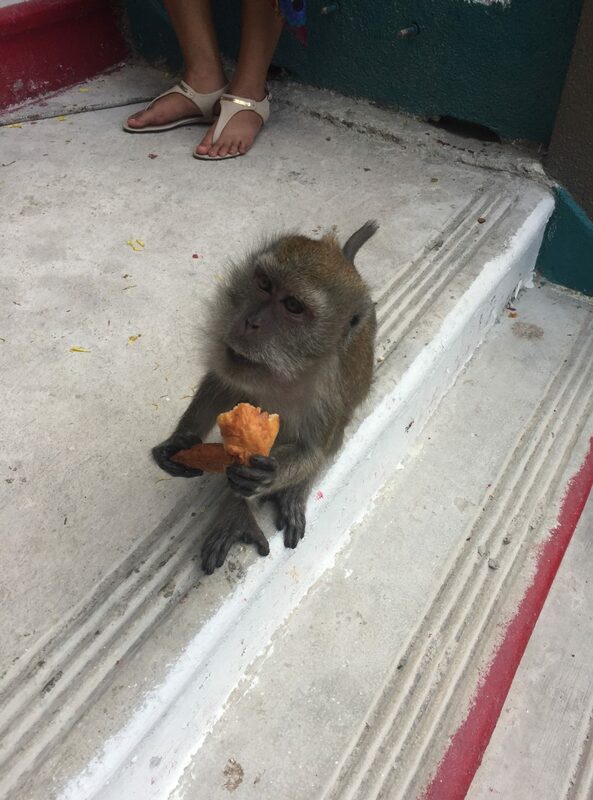 At the top of the endless staircase, you reach the cave, full of Hindu statues and rather animated macaques. 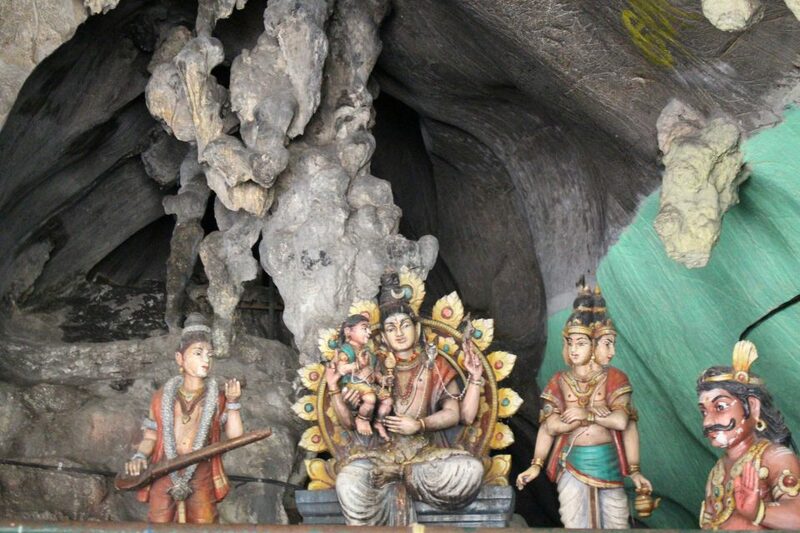 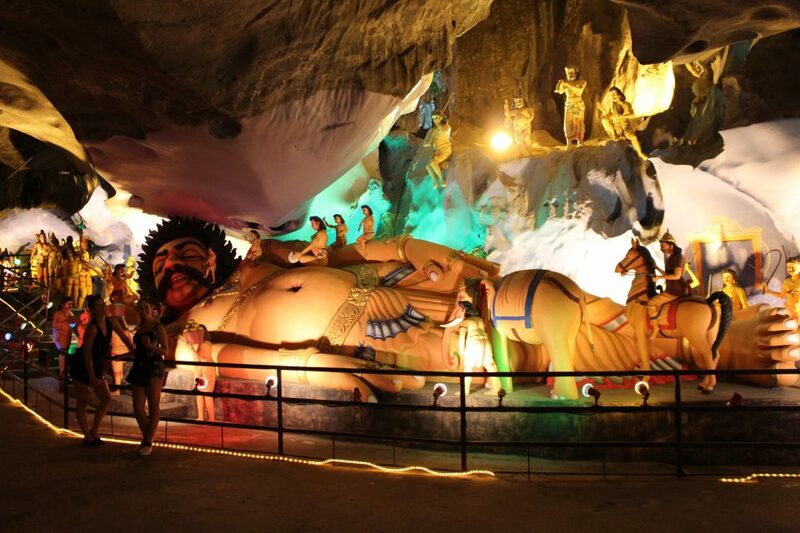 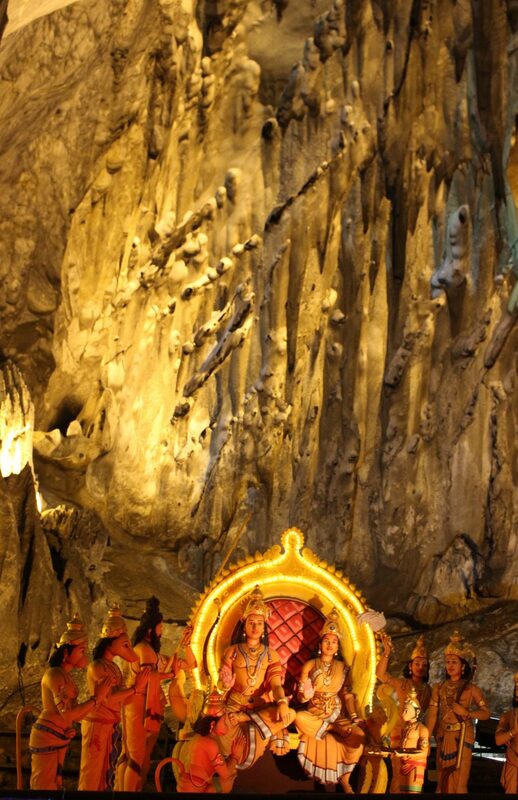 Meanwhile, nearby is Ramayana Cave, depicting stories from Hindu traditions with colorful statues. 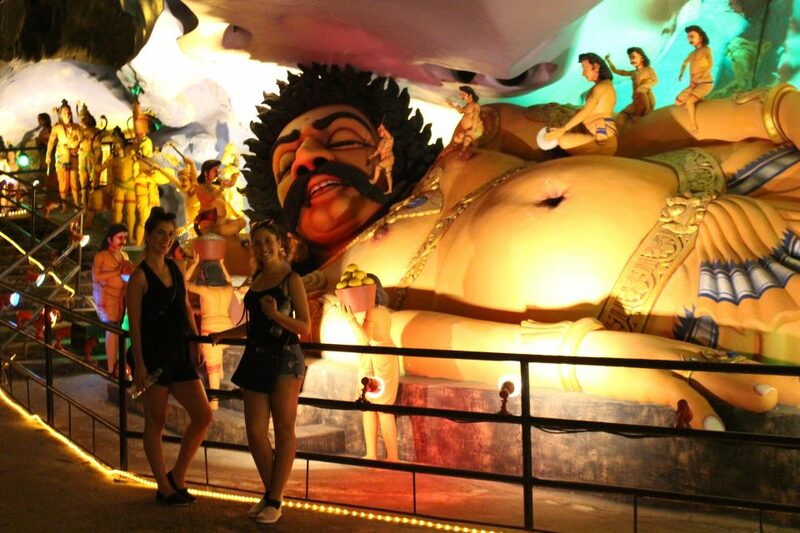 Here’s a huge reclining one! 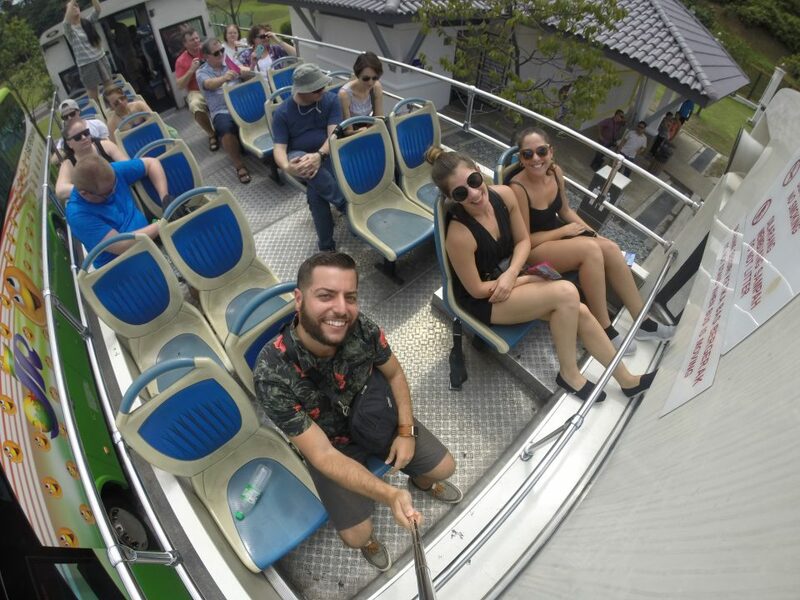 After checking out the caves, we spent most of the day enjoying the city on an open-air tour bus. 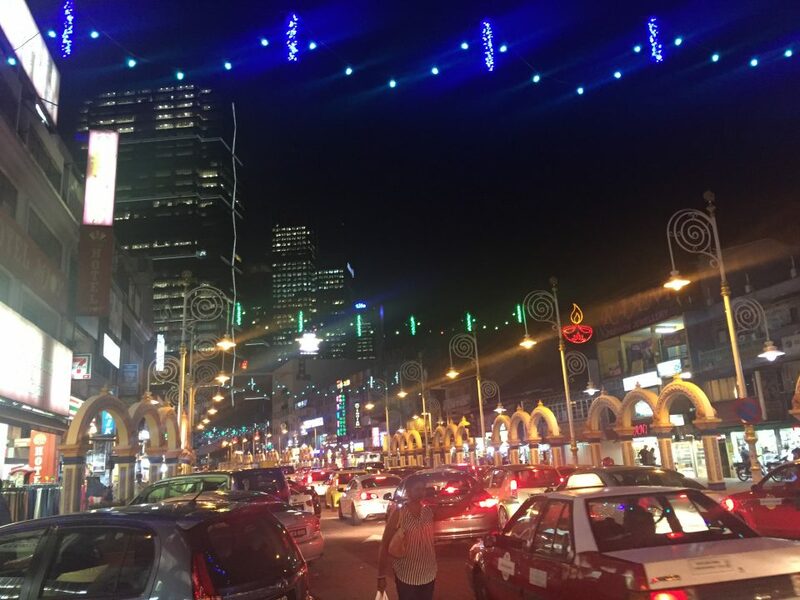 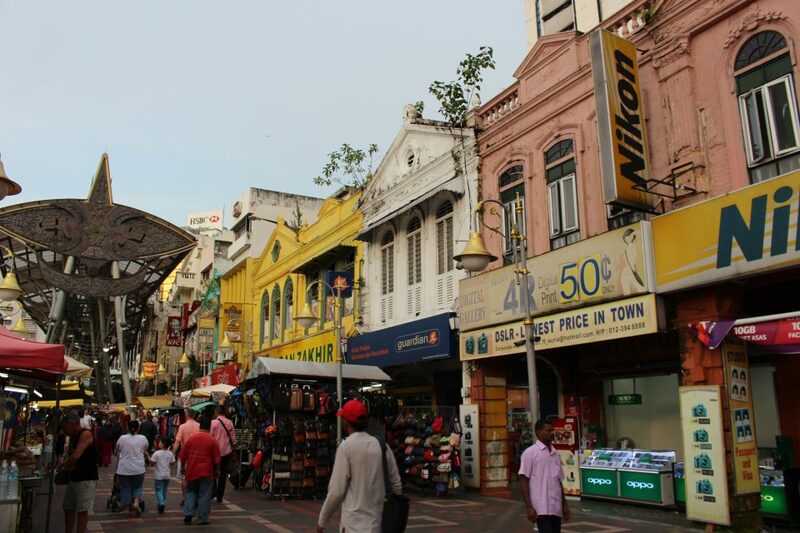 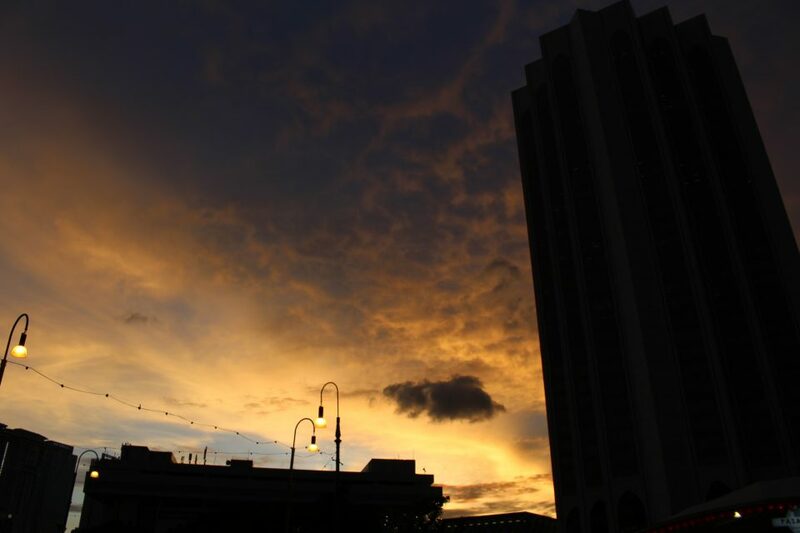 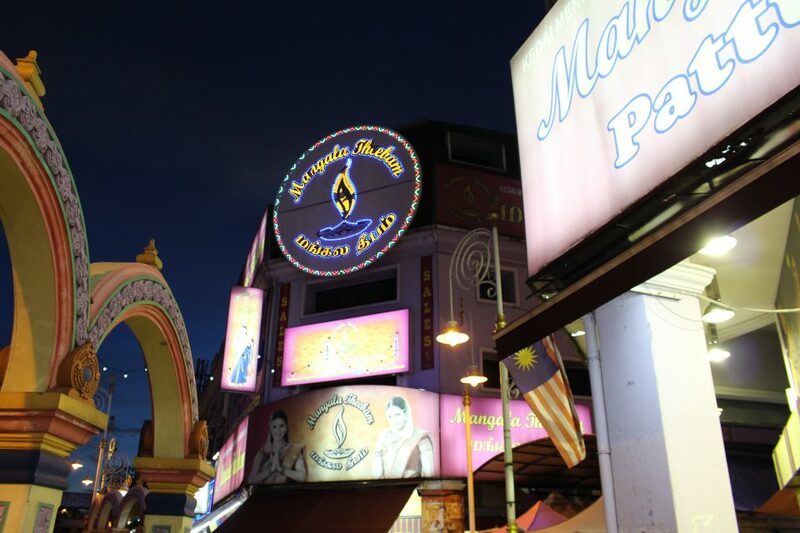 After lunch, we browsed the shops at Central Market and Little India as dusk set in.